Summer peaches are simply the best! Sweet and juicy, they are perfect in every way. 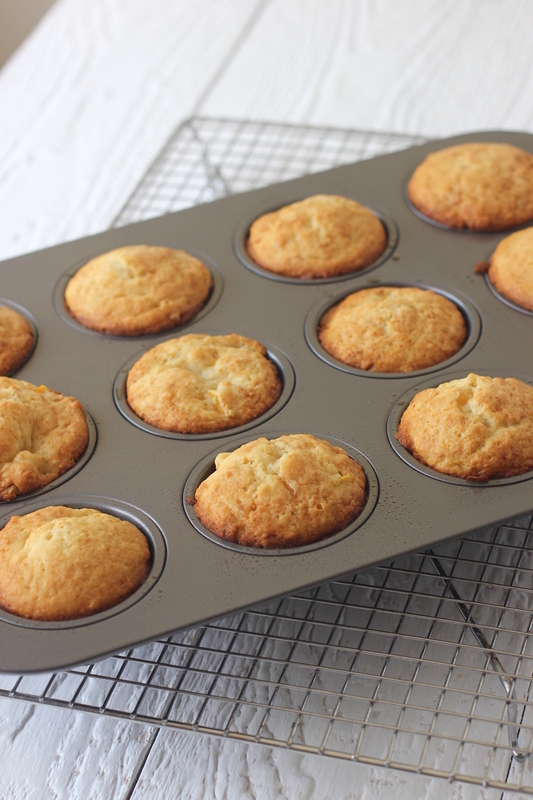 I'm taking advantage of the bounty by adding them to my morning yogurt, eating them just as they are, and baking them in these moist and tender muffins for my neighbors who are in need of a little cheer. They are at their wits' end struggling through a kitchen remodel. If you've ever been there, you know exactly what I mean. 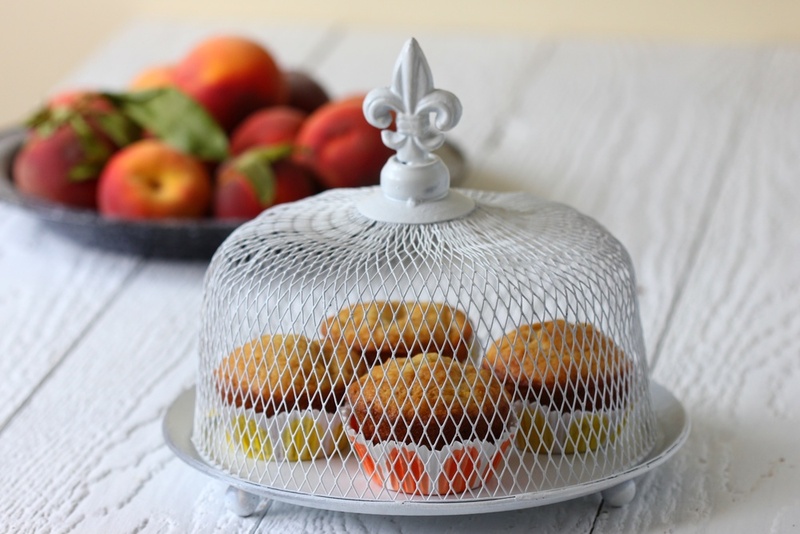 It calls for Peach and Ginger Muffins to the rescue! Homemade creme fraiche and crystallized ginger are added to the batter. Directions for making creme fraiche is included in the recipe. 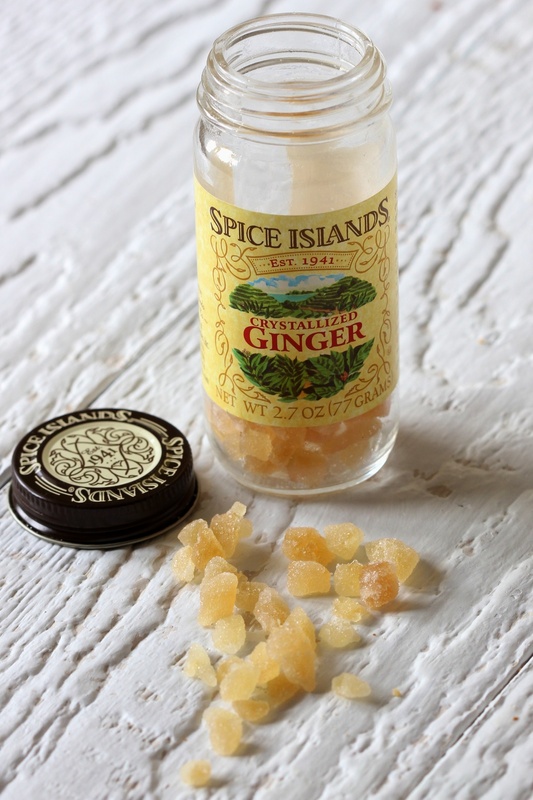 It's incredibly easy to make and so much more economical (and delicious) than what you buy in the store. 1 cup (240 grams) milk, at room temp. Slowly whisk in sugar, butter, milk, creme fraiche, and vanilla until well combined. Pour into the flour mixture and fold gently with a rubber spatula until just combined. Gently fold in peaches and ginger. Do not overmix. Spoon into muffin tins, filling to the rim. Bake about 30 minutes or until the muffins are golden brown on top and spring back when pressed in the middle. Cool in the pan on a wire rack for 20 minutes, then remove from pan. Best eaten the day they are made, or they can be frozen. To make creme fraiche: In a bowl or glass jar, mix 2 cups heavy cream with 3 T. buttermilk. Cover with plastic wrap and allow to sit out for 24 hours. Once it has thickened, transfer to the refrigerator. It will continue to thicken slightly to the consistency of sour cream.